SureTex™ is a concrete knockdown overlay that has larger slightly larger aggregate than other overlays to help creates deeper textures and designs. 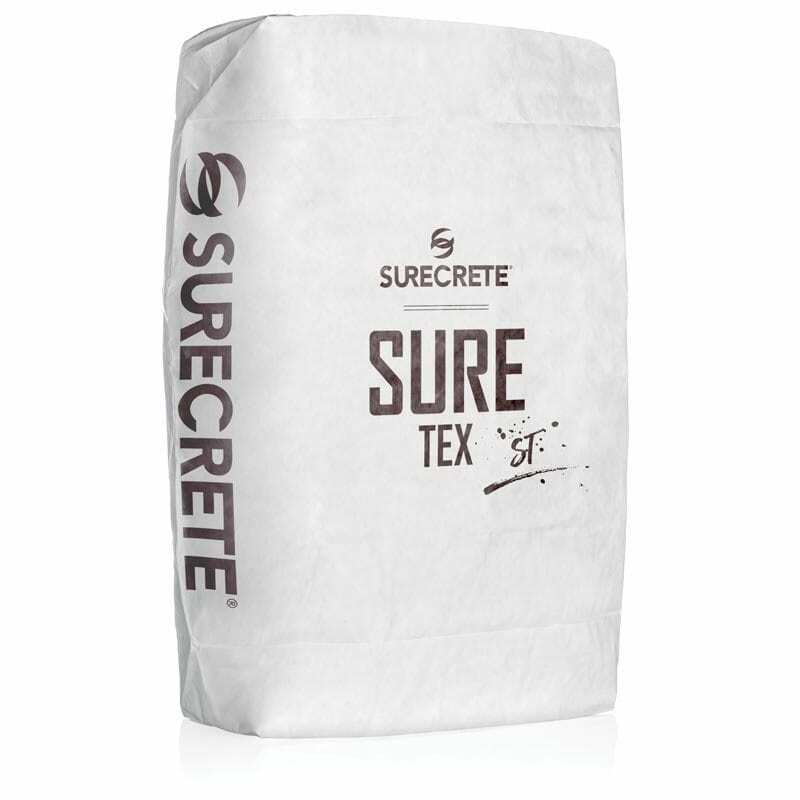 SureTex is specially formulated for quicker dry time and can be applied with a trowel or sprayed with a hopper gun. 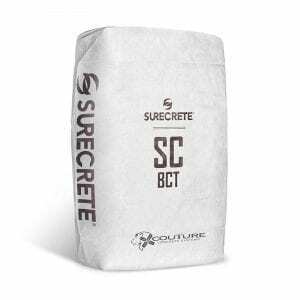 This overlay is easy to mix, just add water and one of SureCrete’s standard 30 overlay colors. SureTex™ is a cement-based concrete knockdown overlay for both interior and exterior concrete surfaces. It’s slightly larger aggregate creates deeper textures, and its chemistry allows quicker surface drying than most overlay products. 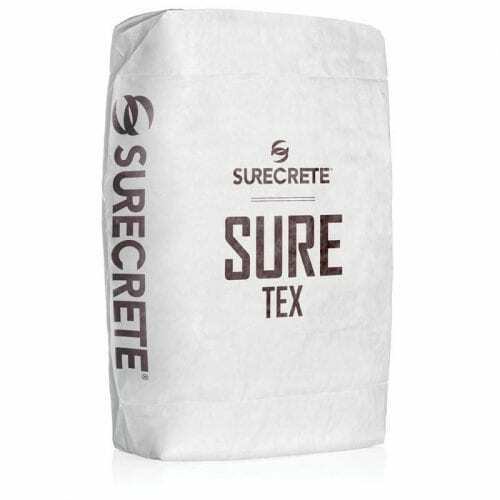 SureTex™ used with compressed air spray equipment (commonly a hopper gun), additionally designed for troweled from the simplest of knock-down to the most beautiful Euro-texture. Restoration, repair, resurfacing, architectural accenting, surface protection, and creating slip resistance of existing concrete are all realized through SureTex. It is seasonally user-friendly, available in Summer and Winter mixes. SureTex™ shares many of the qualities of its sister product SureSpray and as such can be applied in a wide variety of applications. 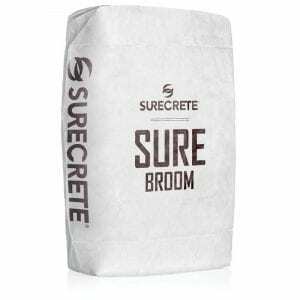 However, with a much larger aggregate size than it’s sprayable sister product SureSpray™, SureTex lends itself to much more rich depths of texture and as such can be used to create a wide array of custom artistic designs. In the hands of professionally trained artisan contractors, SureTex™ can be manipulated to create any number of custom themed flooring surfaces. Since it is such an easy to work with a versatile product, it also lends itself to DIY homeowner usage as well. 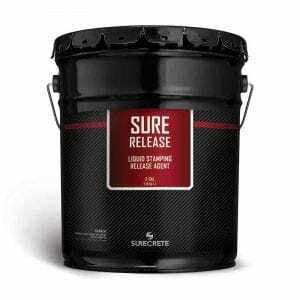 How Do You Apply SureTex™ Concrete Knockdown Overlay? Slowly introduce mix while continuously mixing and mix for a minimum of 1 minute once all product is into a container. Scrape the sides of the bucket to make sure there are no “dry pockets” that didn’t get mixed properly. Mist the surface of the concrete with water ahead of any areas about to receive mix. Pour a generous ribbon of SureTex and tightly trowel or squeegee product over the entire area. If you need a second coat of mix, only wait until the surface is properly cured – approx 2-6 hours. A second coat can be applied same as the first layer. Make sure to scrape away excess material from first coat before applying the finish. Once the surface has dried and cured sufficiently (approx 2-6 hours), it can accept stains and secondary colorants and is also ready to receive a sealer. Typical outdoor applications would utilize an acrylic sealer from our SureSeal line of products. Do I have to use two coats? Not necessarily. It depends on completely upon the design you’re looking for and the substrate you’re working with. Why are there different colors and cracks shadowing through my coating? Depending on how SureTex’s first coating of the product was applied it may be thin enough that imperfections will likely “show through” in the first coat of the product, this would be a case where a second coat would likely be desired. How do I create those beautiful Euro-Tile texture designs? While it is a very user-specific design texture, it’s basic application method can be taught very easily. Check out our Design Ideas or Videos sections for some application ideas, or feel free to attend any of our local training sessions. Do I have to use two coats of SureTex?